Content marketing has been around for ages. It’s not a new concept, and it wasn’t born for online purposes only. However, it continues to be one of the most effective forms of online marketing. That is why we wanted to put together this guide to content marketing for beginners. Great content marketing bridges the gap between your products and your target audience. But, not all content is effective for this task. The question is: How do you create great content marketing? As a business strategy, content marketing propels awareness, builds trust, and drives sales. Written content appeals to search engines, too, making it one of the best ways to generate organic SEO for your website. Social networks have become increasingly visual, catering to images (like Instagram and Pinterest). Numerous studies have also shown that written content with images aka “rich media” performs better than content without images. Human beings love pictures! Use visual content to grab your audience’s attention. We see massive growth in the popularity of video content. Although videos might be more resource-intensive, the rewards for making good videos are undeniable, particularly in content areas already saturated with easier-to-create content. Check the saturation of your topic area by entering your topic in the Content Analyzer. The results will show you the number of articles published per year, and the total and average engagement. YouTube and Facebook are the most popular channels for publishing video content. YouTube tends to do better with longer-form video (>5min) whereas Facebook tends to do better with shorter form video (<2min). However, Live Streaming video is also rising in popularity as a more raw and authentic form of video content. Ebooks may fall under the category of written content, but they deserve their own section. Short for “electronic book,” eBooks have been become incredibly popular. They provide significant value to the reader by offering long-form topical discussion. Typically ebooks are delivered in PDF format and include a handful of non-text visual elements. Another type of long-form written content is the “White Paper.” Businesses use white papers to convey data-driven insights or case studies. Like eBooks, white papers are also great lead magnets. B2B products or services benefit the most from this format. Those are just some of the most popular content types your business can use when starting with content marketing. Successful content marketing takes skill and effort. It’s not a walk-in-the-park, but if executed well, the results will speak for themselves. Content marketing generates significantly more ROI at a lower cost than other marketing strategies. So, let’s dive into exactly how to craft content for your business. We’ll focus on blog content strategy as it has the broadest application for businesses. 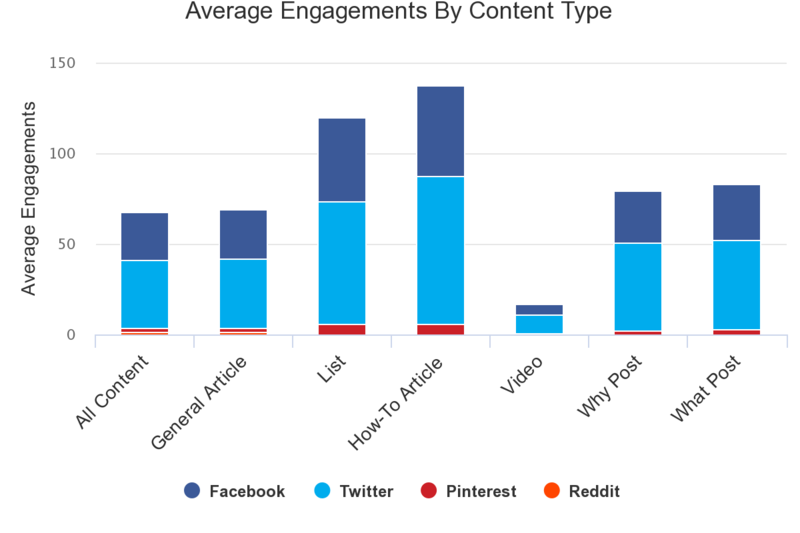 Do you know what content is popular in your industry? You should since this gives you a good starting point for the types of content your target audience prefers. When you see a piece of popular content in your topic area, notice how it’s structured. Consider the style, number of images, and basic format. You’ll be building a mental picture that you can refer to in your own content creation. The Content Analyzer is a quick way to find industry preferences. 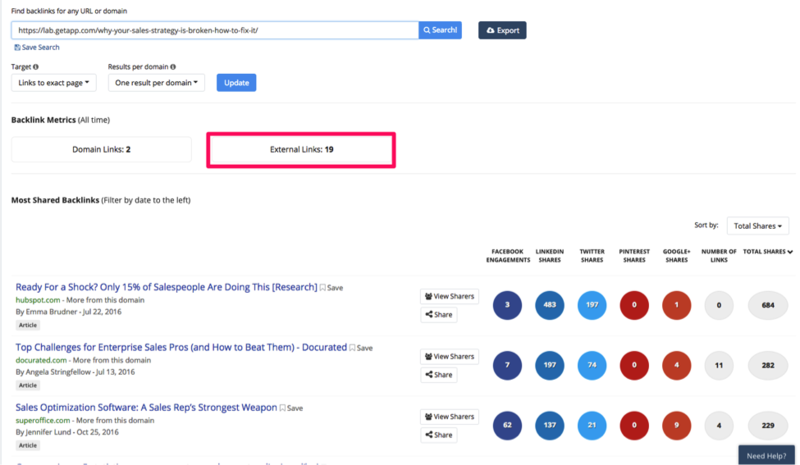 You can use the Content Analyzer to search by topic, or analyze a competitor’s URL to see the content that gets the most social engagement. Once you’ve identified the top content in your industry, it’s time to start crafting your own. Never underestimate the power of keyword strategy. Keywords are a significant ranking factor for search engines. Use keywords and keyword phrases correctly if you want search engines to rank your content higher. Better-ranked content equals more free traffic. More traffic leads to better ROI. Use your target keywords in the title of your content. Maintain a keyword ratio of two percent of total word count. Two of the more technical keyword placements are the page URL and page meta description. Page URL: If possible, always try to match the keyword and URL exactly. So if your keywords were best guacamole recipe , the ideal URL would be yourdomain.com/best-guacamole-recipe/. Meta description: Meta descriptions appear below the article’s title in search results pages. Add your keyword to the meta description so your reader will understand clearly why they should click through to your post. It is important to note that search engines are becoming incredibly smart and can distinguish between natural keyword usage and what’s known as keyword stuffing. Always remember to write your content for real people, not bots. If you read your content out loud, and it sounds strange because of unnatural keyword use, you’re doing your audience a disservice. 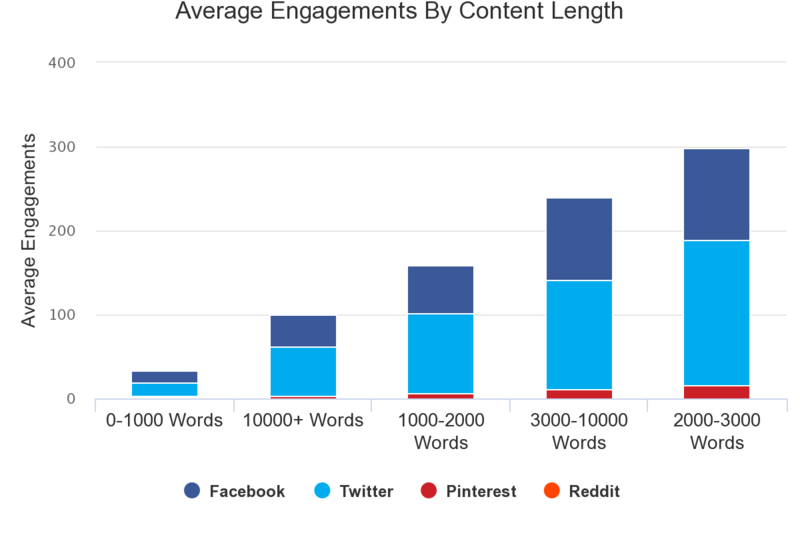 When writing blog posts, longer is usually better. How long? 2,000 words is a good minimum target for your articles. You might be thinking “Hey, won’t my audience be bored with such a long article?” Many people cite stats about dwindling human attention spans. However, we did a study analyzing 100 million articles, and the results show that people are more likely to share longer articles. More shares mean more free traffic, and who doesn’t want that? “Not surprisingly, there was a lot more short-form content being written — which caused a lot more noise. How much more? There was 16 times more content with less than 1,000 words than there was content with 2,000+ words. So by going the extra mile, you automatically separate yourself from the majority of online content creators. When writing a long article, authors often pay more attention to headings, subheadings and images. Breaking the text into smaller chunks not only makes it more attractive on page, it also makes the resulting piece much more skimmable. They increase the “Average Time Spent On Site.” Search engines tend to rank websites that have high average-time-spent. They increase the likelihood of your audience exploring your site more. They allow you to include more keywords. Remember that we said 2% total keyword density is optimal for your written content? A longer article means more instances of your keyword as well as more variations of that keyword. They allow you to offer in-depth solutions to customers, giving them more reason to know, like, and trust you. Make your articles long, with as much depth as you can. For years many publishers believed that you had to release articles regularly in order to get in Google’s good graces. Media outlets set a standard of publishing large amounts of articles, gaining massive amounts of traffic. When it came to SEO, the widely accepted belief was that your website needed lots of content for Google to have plenty of reasons to rank in its search results. And you needed to publish new, fresh content regularly in order to maintain high ranks. With a great demand for high volumes of content, the quality of content slowly diminished. Articles that were nothing but keyword fluff and click-bait headlines became all too common on the internet. The online landscape had changed a lot over the last few years. Particularly in the world of SEO, we’ve seen a big shift towards quality and depth of content rather than volume and frequency. Let’s take Brian Dean for example. His blog, Backlinko, ranks very highly for competitive keyword terms that many SEOs covet. Yet he’s only published a total of 44 blog posts (as of Sept. 2018). Those 44 blog posts generate over 100,000 organic visitors per month for Brian. Back in 2016 Google released an update referred to as “Penguin” which focused heavily on ranking quality content. And that implementation has been further developed with the sole purpose of ranking sites that not only answer people’s search queries, but answer them in the most comprehensive manner. It’s clear now that, quality, not quantity, is the key to gaining organic traffic from the likes of Google search. We found something similar in our 2018 Content Trends Report, which indicated that authoritative sites publishing high quality content had the most engagement, even when all other content saw a dip in social sharing activity. If not just for the boost in free organic search traffic, higher quality content is always going to build trust faster and more efficiently than low-quality content. So make quality content a priority for your content marketing–it keeps readers and Google happy! 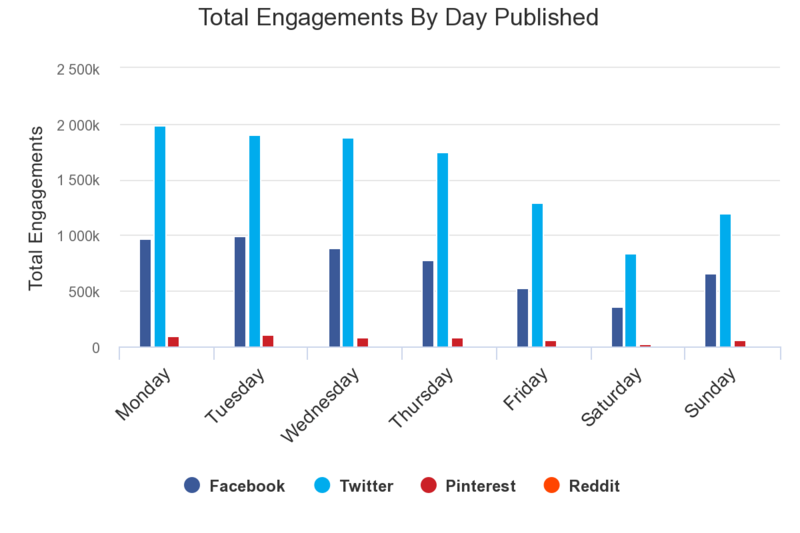 In a study with online publishing powerhouse, Social Media Examiner, we discovered that publishing earlier in the week is more effective than publishing later in the week. The chart below looks at 5 years of content published by leading blogs in the social media marketing and content marketing industry. You can see clearly that these have performed better when published early in the week. One of the reasons Social Media Examiner has done so well is the fact that they use respected authors that produce quality content. We did an author search on BuzzSumo for various Social Media Examiner contributors and found their content was consistently shared. By allowing guest authors with high levels of authority to publish on your site, you’ll be leveraging their already established reach, building great content for your audience, and establishing relationships with influencers. In other words, you don’t even have to create the content yourself if you can instead partner with an authoritative author to produce a high-quality piece for you. Of course, they will want to share this with their audience, giving you an automatic boost in shares and reach. Producing good content is not always a “quick win.” It’s a long-term strategy that will net you better results as time goes by. Here’s some proof that Suzie Blaszkiewicz from GetApp shared with us. If you’re continually producing high quality, in-depth content, it’s only a matter of time until the cumulative effect kicks in. You’ve heard “a rising tide lifts all boats,” right? This phrase applies to SEO: a website filled with high-quality articles creates an overall site authority, which in turn increases the authority of all articles. Even before creating your content, you need to plan to promote it. Sometimes this will mean quoting influencers or customers, other times, it may mean collaborating for writing or review. At the very least, you will want to plan to promote content on social, with paid and organic posts, and via email to your subscribers. It’s not enough to create content and hope it will get found. In our BuzzSumo research, we have found the top performing content is generally shared across multiple networks and not a single network. You’ll have to be both intentional and strategic with your promotion. What does that mean? Create a process for content promotion. Make your content strategically sharable. Let’s dig down into both of these items individually. Identify core networks: Identify each social network where your audience spends their time. Craft a message for each network: Each social network is different, so make sure you tailor the message for the medium. Multiple messages: Don’t just settle with one message per network, create multiple variations (questions, calls to action, quotes, and other snippets from the article) and share them out over time. Don’t forget the power of your colleagues. Actively ask them to share content on LinkedIn and Twitter. 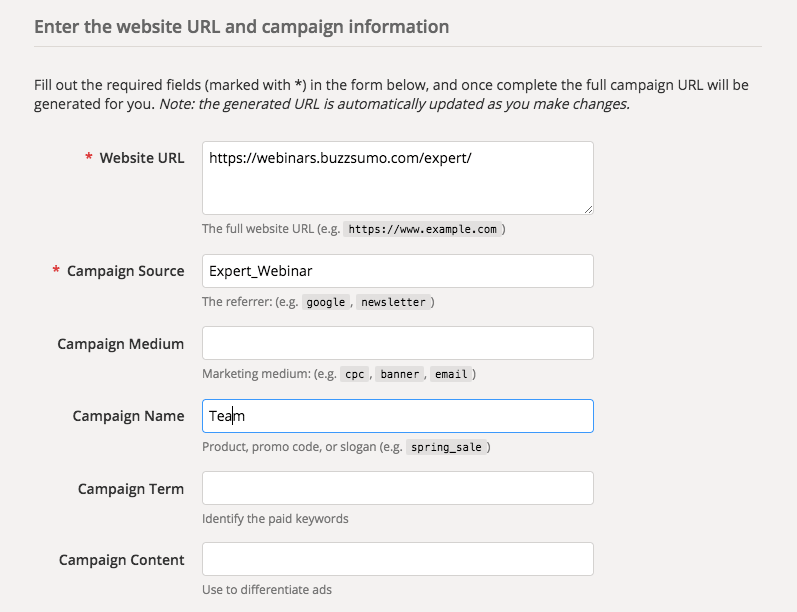 You can measure the effectiveness of this tactic by creating a unique campaign URL for your team for each article. Then, email or Slack key team members individually to ask them to promote the content. We use Google’s campaign builder for this. Be sure to set up guidelines for naming campaigns, to insure results are easy to understand. We’ve written extensively about how to do influencer outreach, and we highly recommend giving it a read. More critical than promoting your content is having your audience promote it for you. Having images, infographics, and other forms of visuals (such as charts and graphs, screenshots and gifs) throughout your content will help the shareability. Social share buttons: If you’re not giving people clear and simple ways to share your content, they won’t. Optimize shared content: If possible, you’ll want to customize how the content is shared for each network. Optimizing the share for each network increases the likelihood of click-through and return traffic. This includes crafting messages that match the feel and tone for each network. In other words, don’t copy a tweet to use on Facebook and LinkedIn. Tweetable quotes: Making simple, tweetable quotes is the lowest possible barrier to entry for someone to share your content. To accomplish all of this, we use Social Warfare — a social sharing plugin that allows us to do all of the tips mentioned above to maximize our content’s shareability. As you can probably tell, the content marketing process is complex. On any given day, a content marketer might spend time researching content, learning about their audience, chatting about trends with influencers, or calculating traffic with Google Analytics. There are daily tasks, weekly tasks, monthly tasks, and campaign-specific tasks to keep in mind. So, to help organize the chaos and provide a useful roadmap, we designed an infographic! If you work alone on projects, this process might help you plan enough time for each step and avoid getting bogged down somewhere in the middle. If you work with a large team, it might help you to better understand what your colleagues do. Remember that the audience segments, content channels and content formats will vary from company to company. These are just examples to get you started. In any case, we hope it makes you more efficient and effective! Share this Image On Your Site: Just copy the code below and paste it into your site. If you are ready to start a new project, check out our post about choosing content topics that will resonate with your audience. Of course, we’d love any thoughts you have about how we could improve our diagram to accurately reflect the content marketing process. Content marketing has the power to transform your business. With the right tools, it can take you to heights you’ve never dreamed of. Remember, the Social Media Examiners and GetApps of the world all started somewhere. Hopefully, you can learn from what they’ve done right and apply it to your business. We’d love to help you get started on that journey, so if you haven’t already, start your free BuzzSumo trial today to get your content marketing efforts off on the right foot.